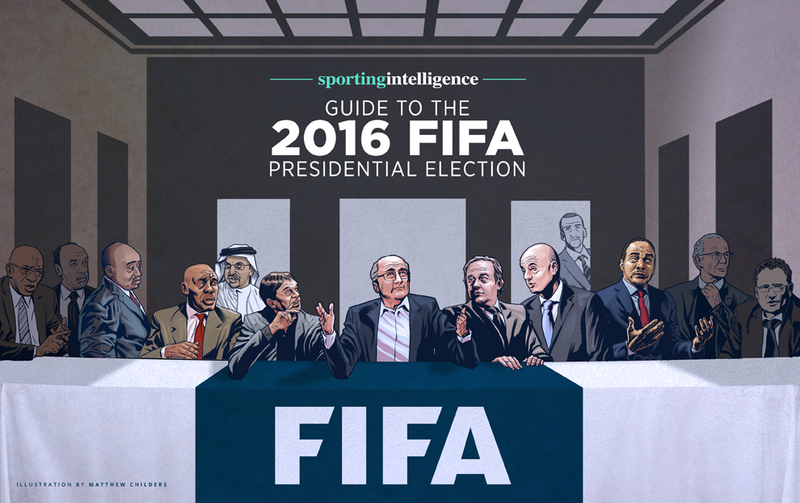 Welcome to the home page of Sportingintelligence‘s guide to the 2016 FIFA presidential election. JAMES CORBETT explains the rationale for it below. The vote is scheduled for 26 February and as it approaches this regularly updated guide will be brought to you by seasoned FIFA-watchers, expert observers, reform advocates and multiple contributors including Corbett, Roger Pielke Jnr, Steve Menary, James Dorsey, Bonita Mersiades and guest posters. Individual presidential candidate profiles for the eight men who entered the race and the latest news from each campaign are on the linked pages in this sentence, including the five ‘active’ candidates – Prince Ali bin Hussein, Sheikh Salman Bin Ibrahim Al-Khalifa, Jerome Champagne, Tokyo Sexwale, Gianni Infantino – and the other three: Michel Platini, David Nakhid, Musa Bility (includes the real reason he didn’t make it). Get a scorecard of MANIFESTO PLEDGES here. Candidate interviews will be linked as they are done: David Nakhid here; Jerome Champagne here. Prince Ali here. Gianni Infantino Q&A here. Over on our FIFA 2016 NEWS & RESOURCES page you can find the latest news, an interactive timeline, links, documents, people to ‘follow’, recommended blogs, a bibliography and much else, while on the FIFA 2016 ANALYSIS page, you’ll find a broad church of dissection. Contributions welcome. Details of how to get involved are at the foot of this page. 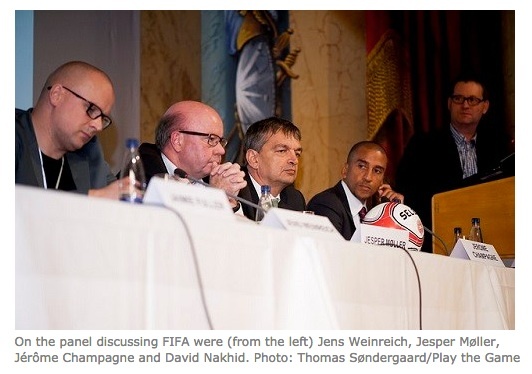 FIFA exists in a time of unprecedented crisis. This is a familiar refrain and could, with justification, have been uttered at any time over the past two decades. The cry of crisis is different now, however, because the organisation also stands at a crossroads. After four decades, the era of its defining figure, Sepp Blatter, is at an end. On 26 February 2016 FIFA’s Congress is scheduled to meet in Zurich to decide on a new president. At the time of writing, five ‘active’ candidates vie to succeed the organisation’s defining figure while three more entered the fray, initially. What starts today is Sportingintelligence’s chronicling of the journey to find Blatter’s successor, and more broadly, to FIFA reform. We open with some context to that race. The perception of Blatter is of a corrupt buffoon; a charlatan; a villain. He is all of these things and more, but the reality is more complicated. The universal impression of FIFA is black and white, but it is the grey areas that make it so fascinating and such an enduring story. Blatter may be a scoundrel, but as a politician he is blessed with ruthlessness and (whisper it) genius. Under his watch football has changed forever. The world governing body that Blatter joined as a development officer in 1975 was far removed from the huge behemoth we know today. It was amateurish, Euro-centric, limited in its power and ambitions. Every four years it would oversee a World Cup of 16 teams in either Europe or South America and afterwards football would carry on as if FIFA didn’t exist. Its turning point came in June 1974 with the election of Joao Havelange as FIFA president. The Brazilian’s powerbase came from the new world – Africa, Asia, Latin America – at a time when top-class football was spreading through the global explosion in access to television. The number of TV sets worldwide rose from 50 million in 1954, when the World Cup was first broadcast, to a billion by the time of Italia ’90. Havelange and Blatter, who became FIFA general secretary (effectively its CEO) in 1981, understood this rapidly evolving world and football’s huge commercial potential. They sought to assert football’s supremacy so that it became the indisputable global game, expanding the World Cup to 24 (and later 32) countries, benefiting the African and Asian countries that were their powerbase. As football’s importance increased, FIFA’s were able to charge ever-increasing fees from its sponsors and broadcast partners. 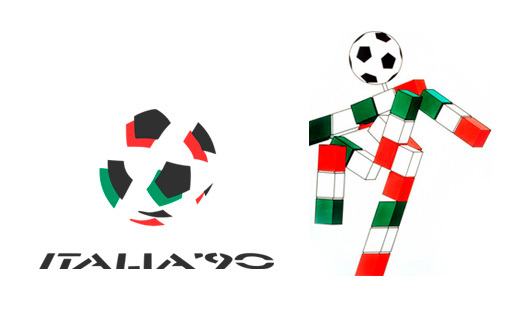 Between Mexico ’86 and Italia ’90 alone the World Cup’s global TV audience doubled and FIFA charged correspondingly to be associated with its event. Blatter helped shape this new world and when Havelange stepped aside in 1998 – aged 82 – he anointed his general secretary his successor. Blatter overcame UEFA president Lennart Johannson to be elected FIFA president. His era has rightly become synonymous with corruption, for Blatter oversaw a divisive, heavily politicised system, in which elected officials were allowed to carve up the spoils of the game and siphon off tens of millions of dollars with near impunity so long as the Swiss strongman was able to rule supreme. At the same time the sport was transformed even within the lifetime of his presidency. It has become – arguably – humankind’s central cultural activity. No sport has ever been so wealthy, so widely watched and played, so politically important as football under Blatter. Ultimately the corruption won; it became too much, too entrenched even for the expert manipulator Blatter to handle. The arrests at the Baur au Lac Hotel on the eve of the May 2015 election were the denouement of a governance system that had become too rotten and unwieldly to manage beyond the radar of the law. Blatter won the election and then fell on his own sword five days later. The man who we journalists once joked would only leave FIFA House in a wooden box left before he was carried away in handcuffs. And so, another election. FIFA stands at a crossroads, although history may show that it is merely a roundabout which is circumnavigated before the same route is taken again. Before us stood eight candidates, then seven, six, five: still the field seems depressingly narrow. 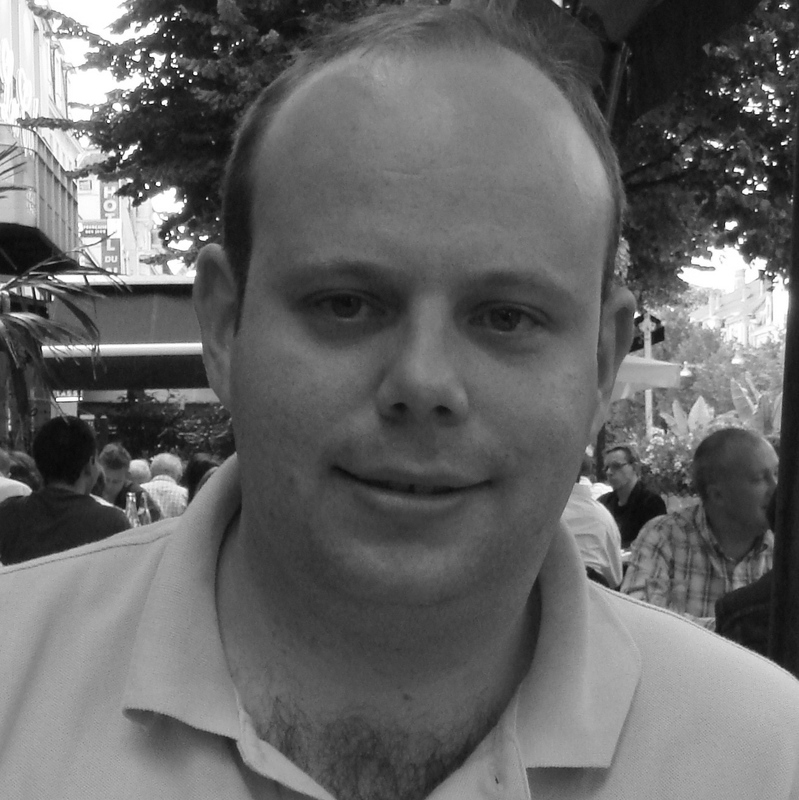 The most articulate vision and (so far) only manifesto comes from Jerome Champagne, who – wait for it! – was one of Blatter’s closest advisors for 11 years. There is Jordan’s Prince Ali (again), who even after FIFA’s ultimate disgrace last May was unable to deal Blatter more than a bloody nose. Prince Ali has a manifesto, from his previous campaign, but not specifically updated for this race. After UEFA’s president, Michel Platini, was placed under suspension for a shonky deal (along with Blatter), world football’s wealthiest and most powerful confederation was for weeks hamstrung, unable to muster from its 53 member associations a single viable candidate to fight if his initial ban lasts beyond 90 days. For a depressing period it seemed as if it would offer its backing to the AFC’s insipid president, Sheikh Salman, who is dogged by lurid accusations of human rights abuses in his native Bahrain, until it came up with its own General Secretary, Gianni Infantino. The field is almost certain to narrow by February. The spiky former Trinidad & Tobago captain, David Nakhid, has almost certainly seen his chance disappear after one of his nomination papers was signed by a federation that had already pledged its support elsewhere. (His fate apparently rests in the hands of a CAS appeal). Nakhid and Champagne both accepted invitations from the Play The Game conference in October in Aarhus, Denmark (left), to talk about their candidacies and face questions, in a panel moderated by Sportingintelligence columnist Roger Pielke Jr.
All candidates have also been invited by Damian Collins MP of the New FIFANow group to a meeting at the European Parliament in Brussels in January. UEFA, which seems to be toying with at least three candidates (as it did last May), will refine its support. Others will invariably fall by the wayside or implode under the scrutiny of the media. We feature Platini, Bility and Nakhid among our profiles and in our coverage because they entered the race. They may be out, for good or for now, but the hows and whys of their departures might, in time, come to inform our understanding of the political currents pulsing below this process. We know that the public are desperate for news, they are tired of the way football is run and want accountability. There are some excellent reporters on sports politics, often from the newswires, and not always reporting in English, and we will highlight their work. Yet although we live in age of information, with tweets, blogs, podcasts and other sources now bouncing around the planet with traditional forms of media, what you actually trust can be open to question. There are too many hidden agendas and we think the public deserve something better than this, something different, something that, we hope, adds a little light to the shade. Hence we are launching a unique reporting project on a contest that will define the future of football. Sportingintelligence’s panel of experts and reporters will report, live blog, provide comment and in-depth analysis, as well as offering a forum for candidates and other stakeholders on the election to become the new leader of world football. We are doing it because we think it matters, because we believe in the power of football, and because we think that the public need a genuinely independent light cast on how things are – and might be. Sportingintelligence’s mantra – ‘Original thinking. Informed Comment. No froth. No Spin’ – is something that we will bring to a reporting project which we hope will be about the future of football, but fear may become the usual game of dirty tricks and vested interests. Either way we will retain fierce independence. This project welcomes contributions, constructive criticism and debate from all quarters [writes site editor, Nick Harris] and if you’d like to take part then send an email and include ‘FIFA 2016 election’ in the subject line. If you are the head of one of the 209 associations eligible to vote, we invite you to write about which candidate you are backing, and why, and what you believe world football needs in its next president. If you have worked inside football and have seen or heard or experienced things you want to share that you believe need a wider audience and have relevance to this event, let us know. This can be a platform. Our contributors are from a broad church. We don’t agree with each other about everything, or even much, let alone speak for any single constituency. We do want to promote debate, and transparency. You will read and hear things in this campaign that are presented by some candidates and their allies without full disclosure. 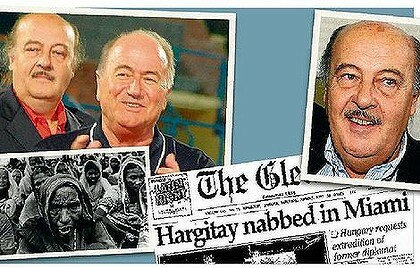 To give just one example, Sheikh Salman’s campaign is being spin-doctored – and effectively run – by Sepp Blatter’s dirty tricks man, Peter Hargitay. You may have heard of him; he was close to Blatter for a long time, and to Jack Warner and assorted other crooks. Read the piece linked here to find out about his role in Australia’s 2022 bid. England didn’t want him working on 2018, for example, concerned about his methods. This is not to say that Hargitay is alone in working in the shadows. Prince Ali had UEFA pulling his strings in the last election, for example, and a UEFA spin doctor writing his 2015 manifesto. That hasn’t been updated, yet, for the 2016 race despite him falling out with UEFA since. But it’s still worth appreciating that every interview you read with Sheikh Salman will have been set up by Hargitay, as will some interviews with those who can shape perceptions of Sheikh Salman, including footballers caught in a brutal 2011 human rights clampdown in Bahrain who now apparently laud him. It’s always good to ask who provides access to people, and why, and on what conditions. Football can be powerful and transformative. It can also be tawdry, and corrupt. The road to the 2016 election will no doubt provide further evidence of all this. Who will win? It’s not even certain who will be left come February. Or even certain that the election will go ahead on time. Talking to an FBI agent last month, it’s clear that legal authorities in multiple countries continue to broaden and deepen their inquiries into FIFA-related corruption. There will be more arrests. There will be more indictments. And as and when Jack Warner gets extradited from Trinidad to the USA, all bets could be off. Who knows how many more people he could implicate? And how many of the candidates? And how many of the 209-man electorate? Then what? We hope to keep you informed.